tastecard holders… Get yourself (and your tastecard!) down to Prezzo for some great quality Italian food. The chefs at Prezzo use the finest seasonal products available, many of which are imported directly from Italy. Youll be able to savour the taste of Italy with a three course meal from a set menu and a glass of wine each at a gorgeous Prezzo restaurant of your choice, with restaurants set in the UKs most attractive locations and bustling cities. 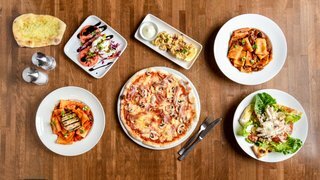 With a fantastic set menu featuring mouth-watering pizzas, sumptuous pasta dishes and decadent desserts all made using fresh and seasonal ingredients, youre sure to find something to suit your tastes. The booking process is easy: just follow the steps provided with your voucher. You and your guest will enjoy all three from a set menu, and a whole bottle of wine to share, with this great package. Ingredients are fresh and seasonal  many sourced directly from Italy. Perhaps youll enjoy classic calamari to start with, a mouth-watering prosciutto and mushroom pizza for your main, and irresistible tiramisu to finish. Vegetarians are catered for, and there are even lighter options for those following a bikini diet. A menu filled with irresistible Italian cuisine. 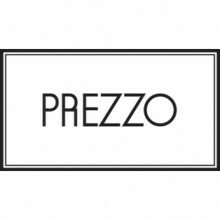 Dine on delicious antipasto, as well as their award-winning pizza, pasta, risotto, grilled meats, and fresh salads in Prezzo's casual, friendly surroundings.